CHECK OUT OUR AWESOME REVIEWS OUR CLIENTS HAVE LEFT VIA YELP & GOOGLE PLUS! CLICK HERE TO READ OUR REVIEWS OR TO REVIEW US YOURSELF. Not in San Antonio? We Service all of Texas!! Call us for a quote for your area. •Check out the "services" page to learn more about our pre purchase vehicle inspection. We provide a hands on, precise, extensive, and specific inspection that pinpoints the exact issue(s) on a vehicle. We are a mobile vehicle inspection company and are able to inspect any vehicle where ever it is parked in an hours time. Our results are backed with modern state of the art testing equipment. Our 500 point inspection is consolidated onto a two page report you receive along with consultation discussing vehicle condition. 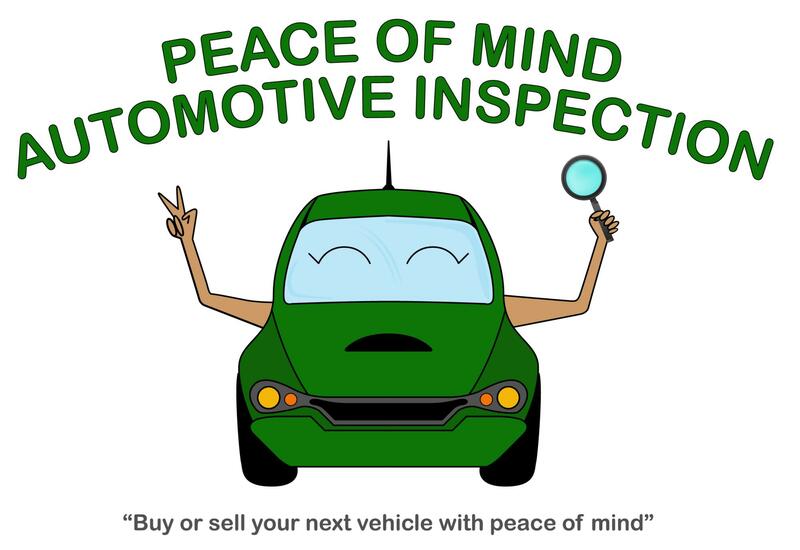 Peace of Mind Automotive Inspection's inspectors are certified ASE master automobile technicians and Frame and Body specialist, thoroughly trained on how to perform our extensive inspection, finding issues our competition over looks. We will provide you with accurate results backed by state of the art equipment. You as our customer are very important, we promise to offer professional, friendly, positive service to each and every individual we help. pre purchase vehicle inspection san antonio, pre purchase vehicle inspection austin, used car inspection san antonio, used car inspection austin, car inspection san antonio, car inspecton austin, pre purchase car inspection san antonio, pre purchase car inspection austin, automobile inspection services san antonio, automobile inspection services austin, used vehicle inspection san antonio, used vehicle inspection austin, mobile vehicle inspection services san antonio, mobile vehicle inspection services austin, auto inspection san antonio, auto inspection austin, pre buy car inspection san antonio, pre buy car inspection austin. Peace of Mind Automotive Inspection offers the most thorough bumper to bumper used vehicle inspection on the market. Our Extensive inspection covers all categories- electrical, mechanical, cosmetic and structural. Our services are available to San Antonio, Austin, and surrounding areas. •Not only are we the most reasonably priced and most thorough inpection offered on the market, we are the only inspection company that does not charge more depending on the type of vehicle you have. We inspect each vehicle the same whether its worth 100k or 2k. This is why we choose to offer a flat rate inspection cost of $109, trip fees may apply for vehicles outside of San Antonio. •We know credentials are important, our inspectors are certified ASE master automobile technicians and Frame and Body specialist, continuosly training to keep up with today's technology. Professionalism is something we don't compromise on, as it is a sign that we care about our customers and what we do.